Kalamona is the name of plant specie, known for its auspicious meaning in Thai that signifies spaciousness and authority thus bringing respect to the owner. 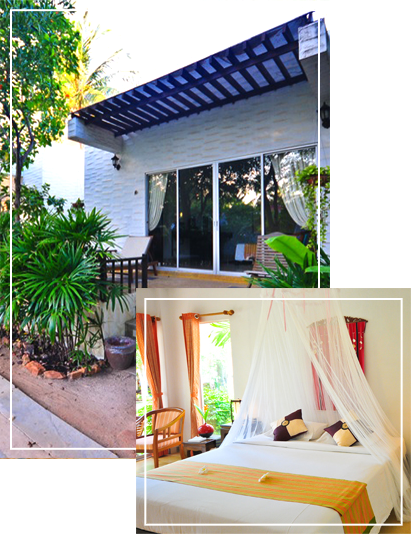 Kalamona Resort is located on Sam Roi Yod Beach in Ampor Pranburi. It is only 25 kmfrom Hua Hin or a 3-hour drive from Bangkok. Kalamona consists of 10 beach houses, painted in white with beach lover's decor. Each of the beach houses is designed for the utmost comfort and privacy overlooking the beach. The premise is nestled in the greenery of various Thai flora.